Marcus Ramone Cooper was born on 27 December 1984, in Miami, Florida USA, and better known by his stage name Pleasure P, he is an R&B singer-songwriter, a former member of the group Pretty Ricky, but also a solo artist who released the hit album “The Introduction of Marcus Cooper”. A famous artist, how rich is Pleasure P at present? According to sources in mid-2016, Pleasure P has acquired a net worth over $2 million, his wealth having been earned through his involvement in the R&B music industry. Pleasure P began performing in 1997 when a thirteen-year-old boy, as the lead vocalist of the Miami R&B group Pretty Ricky, which consisted of him and his three brothers: Baby Blue, Spectacular and Slick’em, and was managed by their father, Joe ‘Blue’ Smith. It released its first album called “Bluestars” by Atlantic Records in 2005, which was Pleasure P’s debut recording. The album, being certified gold, contained the platinum Top Ten hit “Grind with Me” and the Top 20 hit “Your Body.” Two years later, the group released its second album called “Late Night Special” achieving similar success, especially with the singles “On the Hotline” which went platinum and “Push It Baby.” The same year Pleasure P announced his departure from Pretty Ricky, and started working on his solo career, but his net worth was well established. 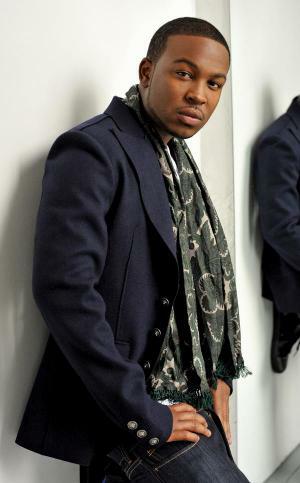 He released his solo debut single “Did You Wrong” in 2008, being ranked at #90 on the Billboard 100 Hot charts, and at #20 on the top R&B/Hip-Hop charts. The same year he released an EP entitled “Boyfriend #2”, containing the song “Did You Wrong” and a promo single “Boyfriend #2”. The EP was released digitally and as an LP disc, and the videos for the two songs were released digitally and on MySpace. Pleasure P later released another hit single entitled “Under”, and all three songs were included in his 2009 solo debut album called “The Introduction of Marcus Cooper”. Released by Swagga Entertainment and Atlantic Records, the album charted at #10 on the US Billboard 200 and #2 on Top R&B/Hip-Hop Albums charts, selling over 19,000 copies in its first week. It was nominated for Best Contemporary R&B Album at the 52nd annual Grammy Awards, with the song “Under” being nominated for Best Male R&B Vocal Performance and Best R&B Song. Pleasure P achieved a high level of popularity and his net worth boosted. He toured around the country promoting the album, also performing as an opening act on the Young Money’s tour. The same year he was featured in Flo Rida’s single “Shone” from the album “R.O.O.T.S.” which also contributed to Pleasure P’s popularity. His net worth was rising steadily. In 2012 the artist signed with the E1 Music record label, and released the first single of the upcoming album “King of Romance”, entitled “I Love Girls”, featuring Young Money artist Tyga. In 2013 he released a new single called “Kiss Me”, and the following year saw the release of his mixtape “Break Up to Make Up”. Around the same time Pleasure P reunited with his former group Pretty Ricky to deliver a new album, the sequel to 2005’s “Bluestars”, entitled “Bluestars 2”. They released the first single called “Puddles” in 2015. All added to Pleasure P’s wealth. When it comes to his personal life, Pleasure P has been married to Railey Smith Cooper since 2015. The couple has one child together. Albums "Bluestars" (2005), "Late Night Special" (2007), "R.O.O.T.S. ", "Boyfriend #2" (EP 2008), "The Introduction of Marcus Cooper" (2009), "King of Romance", "Bluestars 2"
2010 Grammy Grammy Awards Best Contemporary R&B Album For the album "The Introduction of Marcus Cooper." 2010 Grammy Grammy Awards Best R&B Vocal Performance - Male For the song "Under."